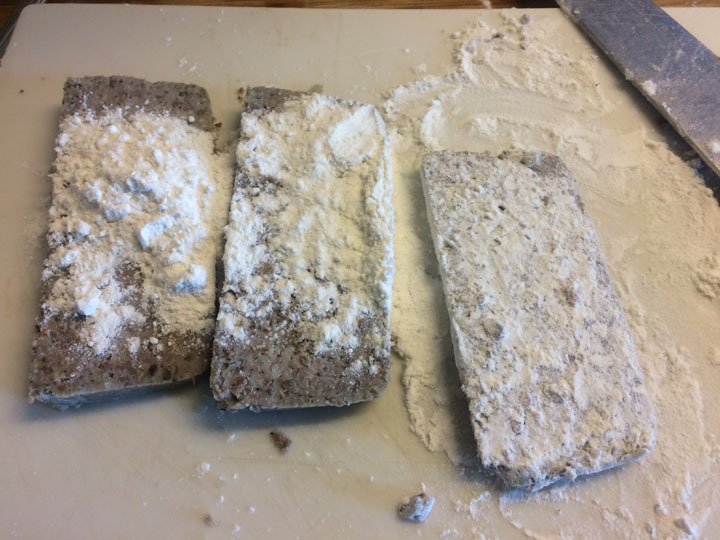 A while back I mentioned Scrapple, and I said that I’d show all you ignorant readers what Scrapple is. I’m not going to tell you. If you knew what was in it you wouldn’t eat it, you’d toss in in the crapper. 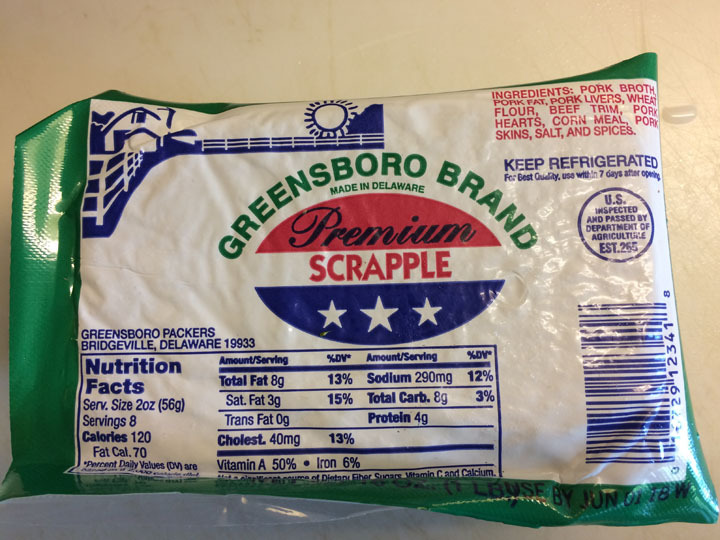 This is Greensboro Scrapple. But it doesn’t matter, no matter who makes it, it’s all pretty much the same. It’s why the floors in slaughter houses are somewhat clean. That red stuff is hot salsa. I live up in Canada (just north of Toronto). No….we don’t have snow here now. I never heard of this product and you can’t buy it here. I showed this to my neighbor. He is a Cardiologist. I can’t print what he said. Of course, poutine which I believe originated in Quebec next door, is not exactly recommended by the Heart & Stroke Association. Finally, my old dog Hershey, who is on a low fat diet eats expensive canned food you can only purchase from the vet (for a fortune). Interesting, it is a chicken stew that I bet humans could eat with less fat, calories and cholesterol. Anyways, you only live once and I tend to overindulge when we go to the restaurant; even though my wife gives me the “stink eye” or a lecture. Let me inform your cardiologist that if he’s ever out drinking till 3:00 AM, and he stops by his local lube-job diner for a little breakfast, there’s nothing better than scrapple, hash browns and runny eggs. You can’t eat scrapple without Karo syrup!!! At least not in PA where I grew up. That’s correct. Scrapple is also delicious with Aunt Jemima. Hi Mr. Grace – Well now you did it. 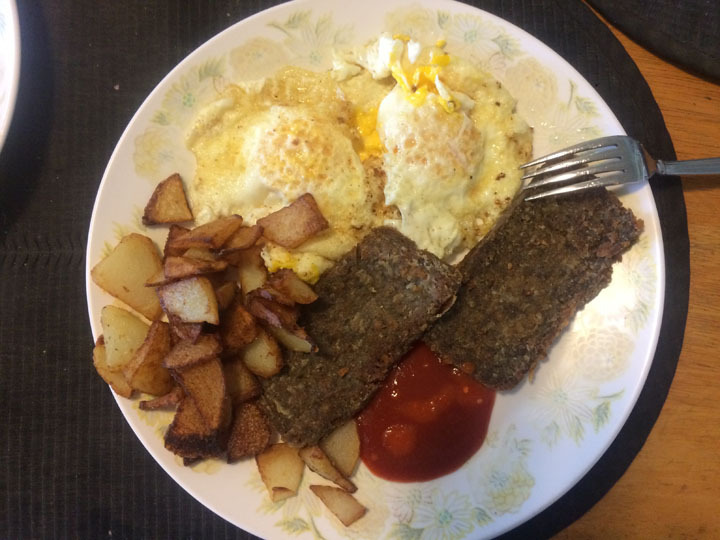 Your mouth watering pictures & lessons on Scrapple have provoked me into finding some and breaking my Scrapple virginity. Found some that’s locally made in Fort Atkinson, WI, (Jones Dairy Farm brand) and distributed thru a local grocer. $3.99/lb, and it’s made from all the right ingredients. 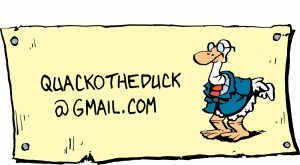 I enjoy Spam, fried pork rinds, liver sausage, and I eat the turkey heart, kidneys, gizard and liver as a treat every Thanksgiving. What’s not to love? Currently thawing in the fridge for this weekend’s breakfast adventure. Thanks for all the advice and stories. I’ll let you know how it turns out. I’m predicting success, and a new addiction. Good decision. Wisconsin has always been known as L’état de la haute cuisine. My favorite brand for the past few years has been Greensboro. But lately the quality has suffered. It’s difficult to maintain a high standard of quality with ingredients that are scraped off the butcher shop floor. I may go back to Rappoa. 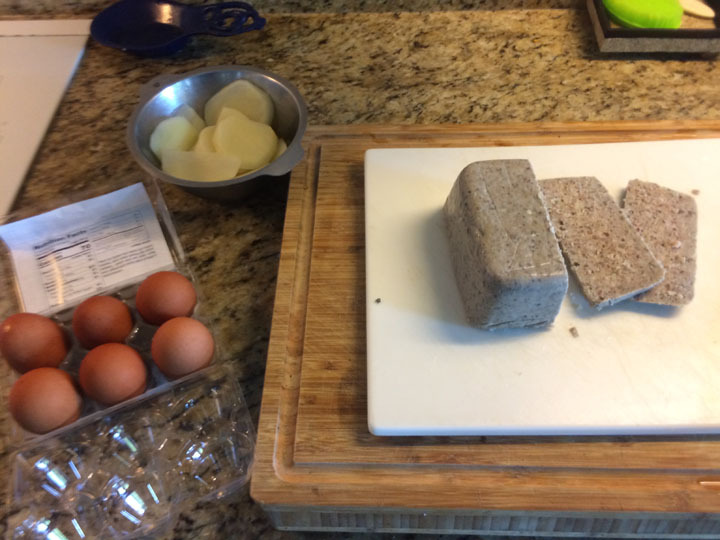 Scrapple Report #1: Success! Polished off the entire 1 lb package this Friday & weekend. I have found a new, and tasty addition to my future breakfasts. Works great with runny eggs, just like corned beef hash. 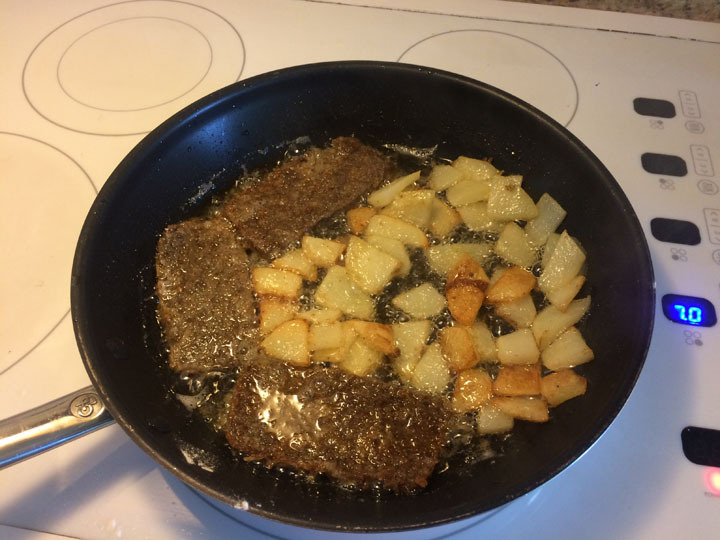 Still working on my Scrapple culinary skills – getting the hang of slicing and frying. Tried with and without flour – seems to hold together in a slice better when fried with the flower. Also had slices falling apart during slicing, and flipping, but fried and ate them anyway. Now I am interested in seeing if there’s a difference between brands. Thanks so much for highlighting this great treat!